Chase Nielsen was born on January 14, 1917, in Hyrum, Utah. He enlisted in the Aviation Cadet Program of the Army Air Corps on August 18, 1939, and graduated from Navigator School in June 1941. Nielsen served with the 17th Bomb Group at McChord Field, Washington, from June 1941 until February 1942, when he began training for a top secret mission to bomb Japan. Lt Nielsen was the Navigator on the sixth B-25 to take off from the aircraft carrier USS Hornet on April 18, 1942, and after bombing Tokyo his crew flew to China and ditched the plane off the coast. Nielsen and the other two surviving crew members were captured by the Japanese on April 21, 1942. He spent the next 1,218 days as a Prisoner of War, and was rescued by an Office of Strategic Services para-rescue team on August 20, 1945. Nielsen was the only Doolittle Raider to return to testify at the War Crimes Trials against the Japanese in January 1946. He left active duty on January 21, 1947, but returned to the new U.S. Air Force on April 7, 1948. 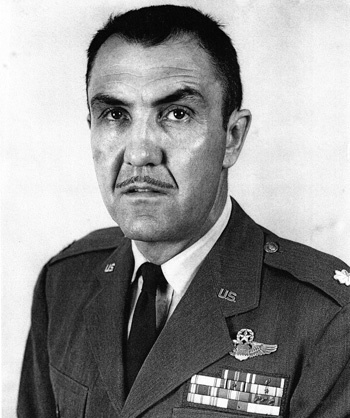 He served with Strategic Air Command from 1948 to 1961, flying B-29 and B-50 Superfortress, B-36 Peacemaker, and B-52 Stratofortress aircraft at bases in California, New Mexico, and Puerto Rico. Col Nielsen retired from the Air Force on November 30, 1961. 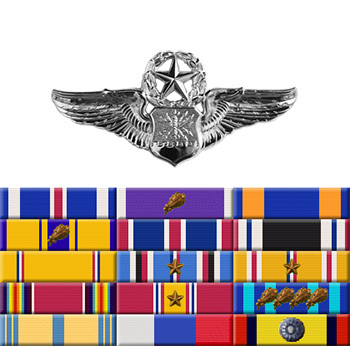 He wears Master Navigator Wings and accumulated over 10,000 flying hours during his Air Force career. After retiring from the Air Force, Chase began a career as an industrial engineer at Hill AFB, Utah, retiring for a second time in 1981. Chase Nielsen died on March 23, 2007. 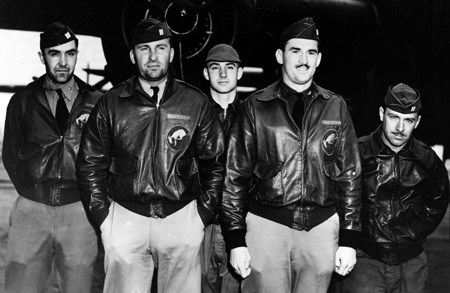 Crew 6 of the Doolittle Raiders, left to right-Lt Chase J. Nielsen, Lt Dean E. Hallmark, Sgt Donald E. Fitzmaurice, Lt Robert J. Meder, and Sgt William J. Dieter.